Exam exemption cards are available during all lunches starting TODAY! Exemption cards will be due to 5th period teachers on the first day of finals, Wednesday, May 27. If students have fines to pay, they should pay them to whom they are due (ie. art fee to art teacher, library fine to librarian, ID fine to attendance, etc.). After a fine is paid, a yellow all-clear slip will be given to the student to show to the Assistant Principals in the cafeteria. Once students are finished with their textbooks, they may check them in to room 1045. All textbooks must be checked in before students leave for the summer. 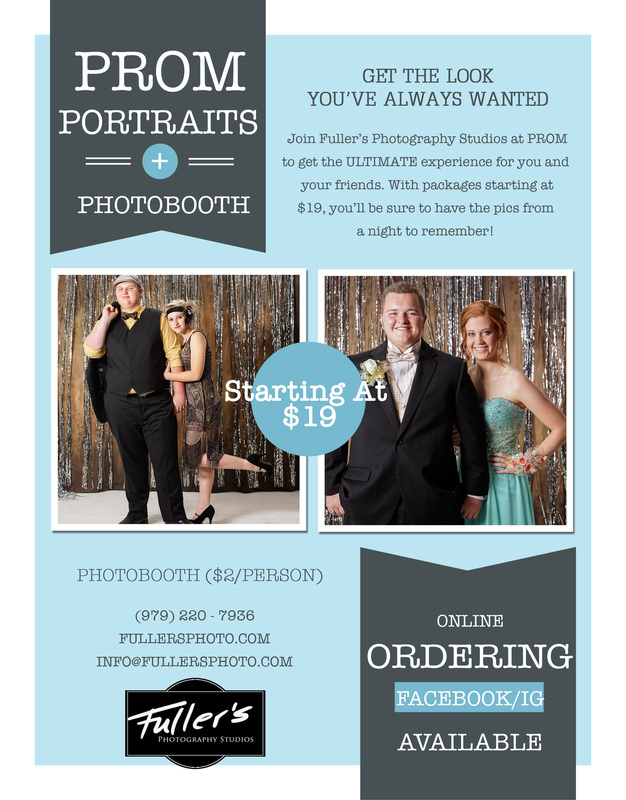 We are excited to have Fuller's Photography as the official photographer for Prom 2015! 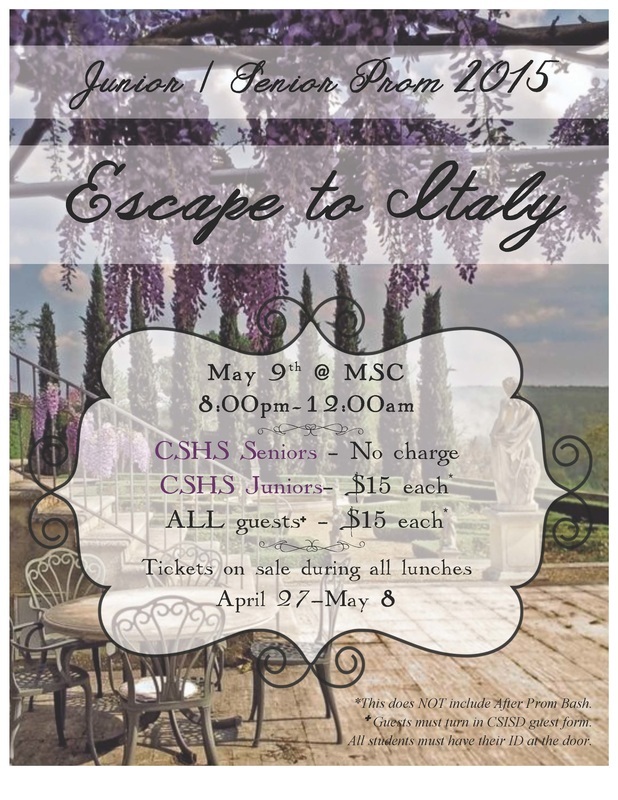 If you are interested in purchasing formal prom pictures, please grab a flyer at the ticket table in the cafeteria or download the form here. 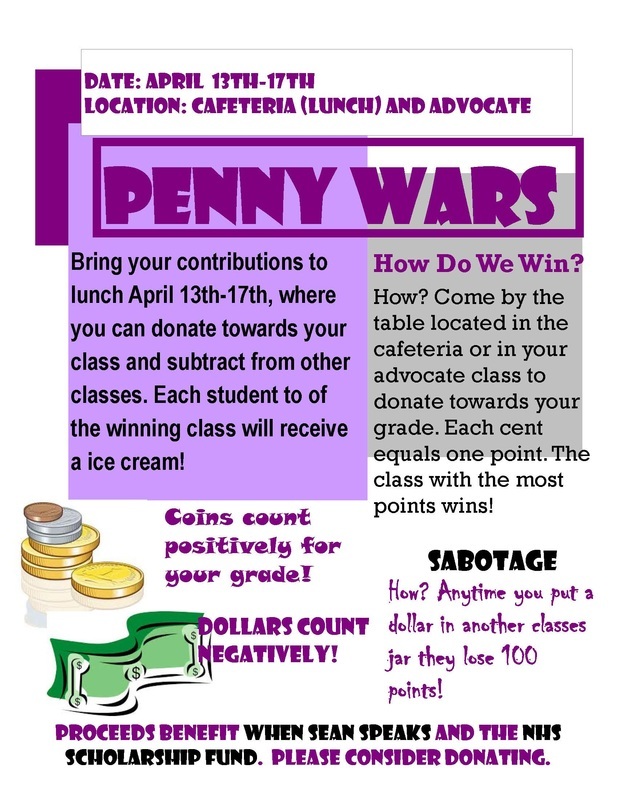 The two highest producing Advocate classes (pounds/student) - TEACHER will receive a $50 gift card courtesy of the CSHS PTO! The top 3 classes will receive a pizza party! Going to After Prom Bash? 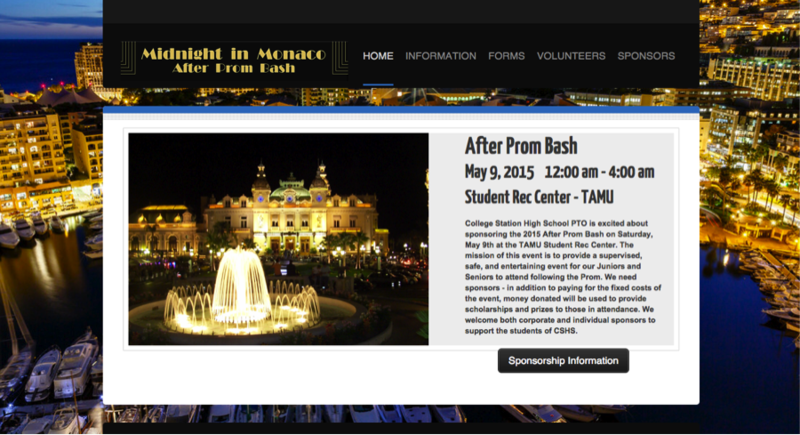 Check out the details on the APB website! Join us as we send our Girls' Soccer Team to the STATE CHAMPIONSHIP! 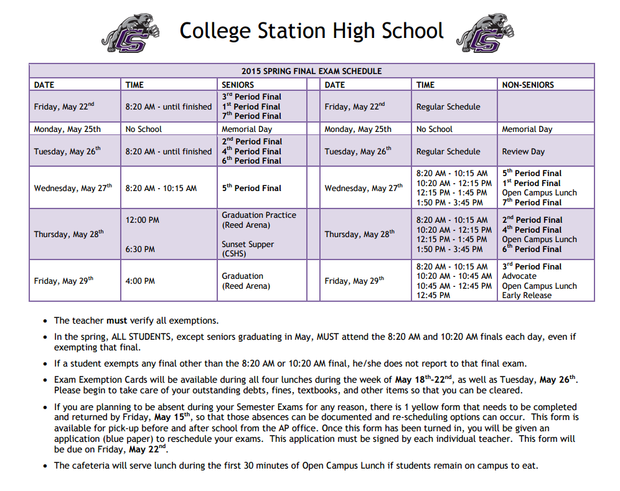 Wear your Cougar purple on Wednesday (early release day) for another CSHS State Send-off! If you want to ride the fan bus to the game on Thursday, be sure to pick up a permission form from the front office and turn it in by Wednesday afternoon. You must have passed all classes on the 5th Six Weeks report card. This week, April 13-17, NHS will begin its first fundraiser, Penny Wars. This class competition (grade levels) runs on a monetary point system. Positive points are earned when coins (pennies, nickels, dimes, and quarters) are deposited into jars that will be placed in the cafeteria and circulating through advocates. Negative points will be given when paper money is placed into the jar of each class. Each coin or bill is equal to its worth in pennies (ex: $1 = -100 points, 25¢ = +25 points). Students may add to any of the four jars (labeled 9th, 10th, 11th, and 12th), providing an opportunity to "sabotage" another class with negative points. Points will be tallied each day throughout the week so that classes can check their progress. The class with the highest number of points at the end of the week will earn free ice cream for the entire grade level. 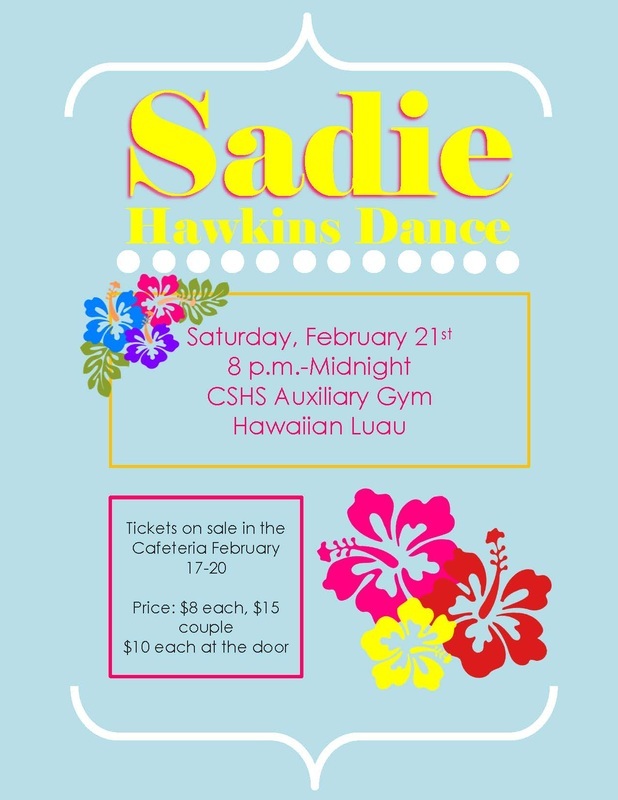 Proceeds from this fundraiser will go to an NHS scholarship fund as well as towards "When Sean Speaks," the program featured at Friday's Shattered Dreams assembly. ﻿SHOW YOUR JUNIOR CLASS SPIRIT! 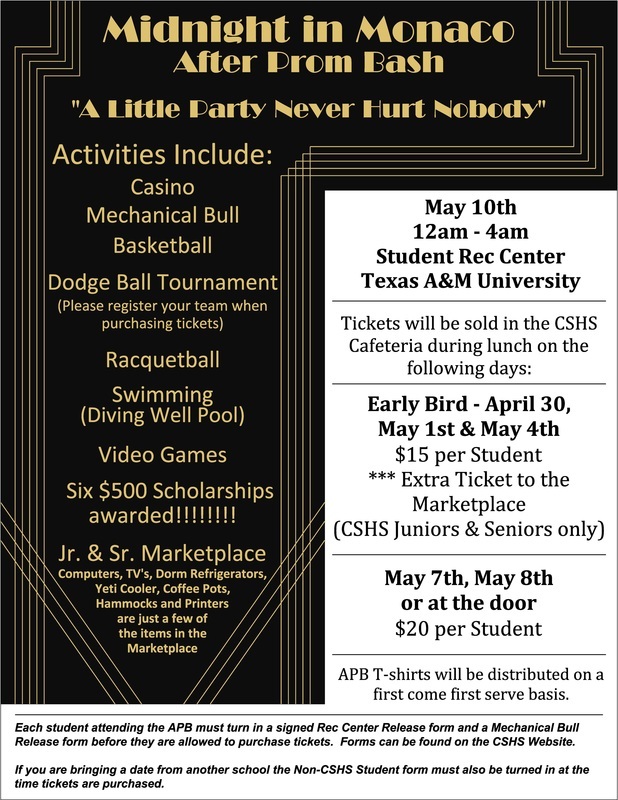 CSHS will host its first Shattered Dreams program on April 9th and 10th. This program promotes responsible decision-making among high school students regarding underage alcohol drinking and impaired driving by showing them first-hand that irresponsible decisions can lead to deadly outcomes. 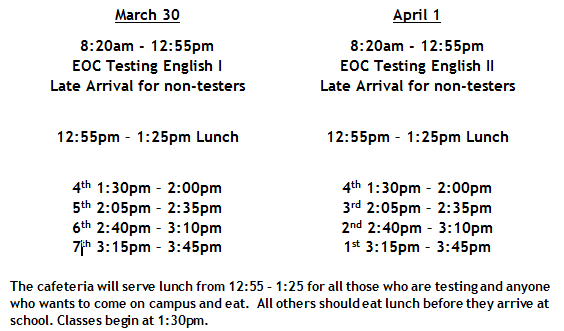 Students will be taking English I and II End of Course (EOC) exams on March 30th and April 1st, respectively. 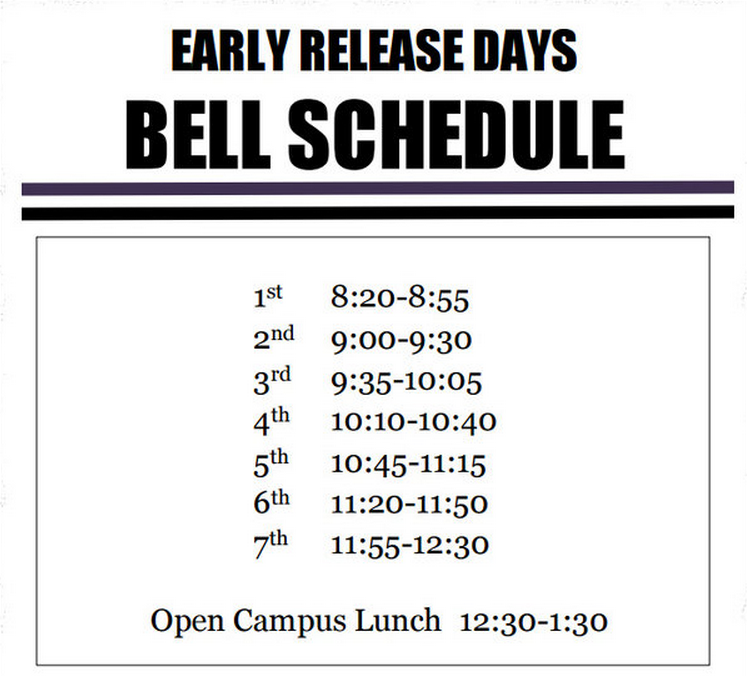 On these days, we will be on an alternate bell schedule. 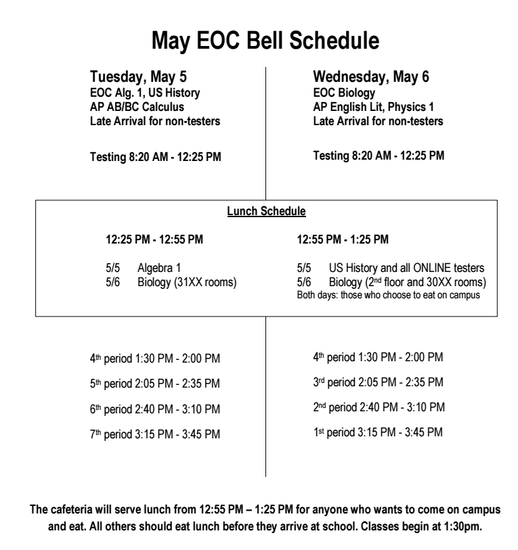 If you are not taking an EOC on these two days, you need to arrive at school at 1:30 (unless eating lunch at school). Taking Dual Credit next year? 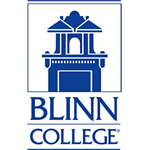 Paperwork, course information, and payment information will be given by a Blinn representative. 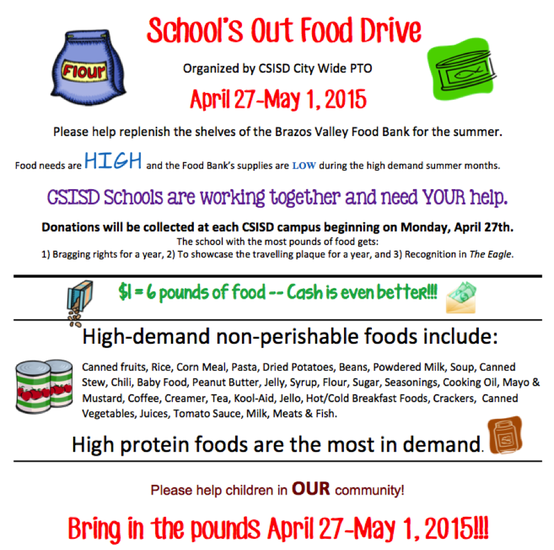 If you have questions, please email your student's CSHS counselor. Today is the end of the 4th Six Weeks. Report cards will go home on Wednesday, February 25th. If you don't already have a Home Access Center (HAC) account, read these directions to set one up to monitor your grades from home. The 5th Six Weeks starts on February 23 and runs through April 10th.